Welcome to Cypress Ridge Care Center. Cypress Ridge is proud to be a four-star, Medicare-certified, short-term rehabilitation and skilled nursing home located in Monterey, California. 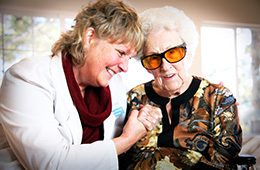 Cypress Ridge Care Center provides compassionate and personal skilled care 24 hours a day. We specialize in providing rehabilitation services onsite to help our residents regain their independence. Contact Cypress Ridge Care Center today. Our friendly professionals take referrals 24 hours a day. Wonderfully enriching lives, one person at a time!